Losing a child to miscarriage or pregnancy loss is one of the most difficult things to face. When a child has already been born, society and the family, including the mother and father readily recognize the loss. However, when a baby dies in the womb through stillbirth, miscarriage or ectopic pregnancy, parents are often expected to move on quickly with their lives. Whereas nobody in their right mind would tell a mother who had lost her 5-year-old son, ‘don’t worry, you can always have another child’, or ‘at least you have other children,’ platitudes like this are common. These and other similar unhelpful responses are regularly given to mothers grieving miscarriages and pregnancy loss. Often there is no public funeral or memorial service to acknowledge the lost child. People often don’t know what to say or how to respond. The general feeling seems to be that an early miscarriage is just a failed attempt at pregnancy. (You can always try again(!)). There is a failure to recognize the genuine but shortened pregnancy in its own right and a failure to recognize a mother who was carrying a valued, valid human being who has died. Miscarriage and pregnancy loss are hushed subjects. Conversations are had secretly between mothers who have lost their children in utero and so society does not learn how these women are feeling, or learn how to respond appropriately. So what can we do as mothers of miscarriages and pregnancy loss to help make pregnancy loss easier for those mothers who come after us? Below are some suggestions. Please feel free to take what is helpful and leave the rest. 1. Talk to other women who have been through miscarriage or pregnancy loss or read their stories. Women often suddenly discover other women who have been through the same thing when they share about own loss. Talking with others and sharing your story, whilst hearing theirs, can be deeply healing. It also helps to remove the shame and recognize that our feelings are normal. Often when a story is shared in an environment where it is valued and recognized, it is then easier to take ownership of the story. In turn, it is easier to share your story or small bits of what you are feeling with others in environments where miscarriage and pregnancy loss recovery is less understood. 2. Educate those close to you. There are always people who don’t really care or who are unintentionally insensitive about miscarriage or pregnancy loss. The first time I had a miscarriage I encountered a woman who was physically horrified to see me at a young mother’s group (she knew about the miscarriage because of an email I had sent out), and instead of approaching me she avoided me the whole meeting. She obviously had no idea how to respond appropriately and so avoided reaching out. I didn’t approach her that day to start a conversation about the miscarriage (or anything else!). However, there have been others who I have been able to educate. I have been able to suggest what someone may be feeling and what can help post miscarriage or pregnancy loss. There are many people who do care and want to learn how they can help, but they don’t want to intrude into an area that is painful. They often need us to guide them as we can to help them to help us and others after us. It is good, when we can, to be clear about what we do and don’t want and need. It is hard, but let’s try and speak up if we need help looking after children or if we would appreciate a meal. See if there is a point person you can communicate openly about your needs. They can then communicate and organize the meeting of those needs and be the person you can point others to. As time passes, for those of us who want to, not censoring our stories is important. 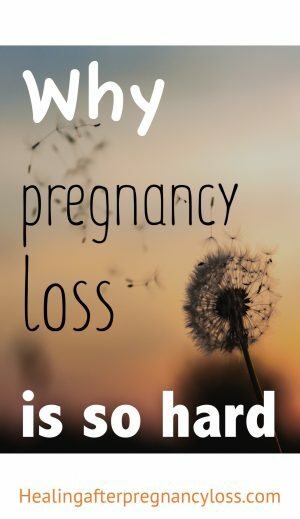 It can be easy to brush over a season of grief but it has often been a difficult and transforming season and allowing others to hear that will educate them and help society become more open, accepting and helpful to women who have lost babies in utero. Others may not value your child, but that doesn’t mean your child is not valuable. Part of grief is finding ways to acknowledge our loss and transform it into something else. Find ways to acknowledge your child (even if you don’t know your child’s gender). 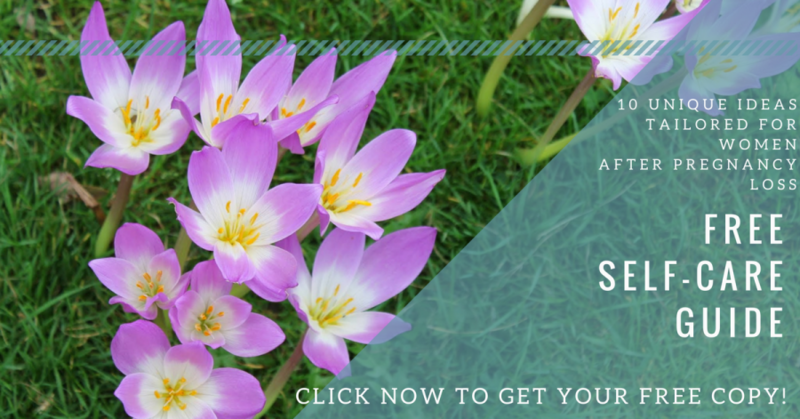 You might like to choose a plant or flower to care for, write a letter to your child, find a symbol to represent your child and frame it, or pick a necklace which can represent your child. If you gave your child a name then you might like to create something which uses it. Where appropriate, as you feel you can, you may like to share the ways you have commemorated your child with others. When I first lost a baby in utero at 16 weeks I planted a garden and took photos of it which now hang on my living room wall. I also have necklaces with different symbols such as pearls or a shell. When people ask about them I am able to share what they represent and my child is acknowledged in those conversations. What do you think? Are there other ways women can help themselves and others to acknowledge the reality of miscarriage and pregnancy loss? What have you found helpful? Did you choose a way to commemorate your child? Let me know in the comments.